The Land TitlePAC of Tennessee (TitlePAC) is a qualified state political organization. TitlePAC contributes to the election campaigns of candidates who understand issues of importance to title professionals and the title/closing profession, whether Democrat or Republican. I already pay my TNLTA association dues. Why should I pay more? Why should I support TitlePAC? 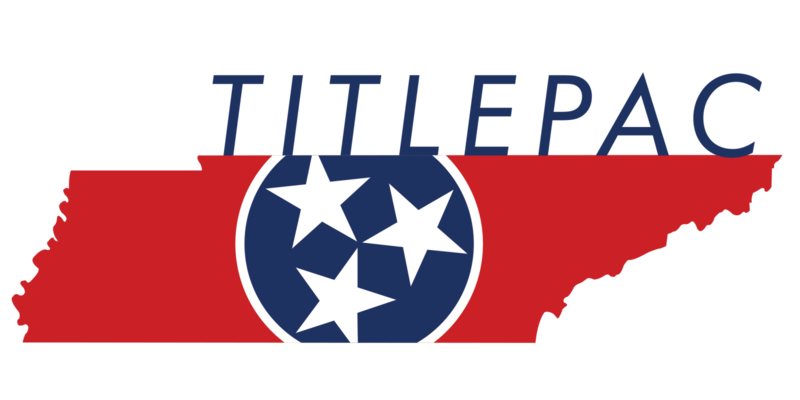 TitlePAC enables the TNLTA to have a voice in issues affecting the title profession. A strong PAC demonstrates that TNLTA members speak with a united voice. Decisions about every aspect of the land title industry are made by elected officials. By contributing to TitlePAC, you are helping to educate and inform elected officials about the industry. TNLTA works to help defeat adverse legislation, while supporting pro-active initiatives which address problems facing the industry. TitlePAC plays a major role in these efforts. Your contribution to TitlePAC is an investment in your business and your profession. Make a commitment today to help insure a strong future for the industry by supporting your PAC. To donate, please click HERE .